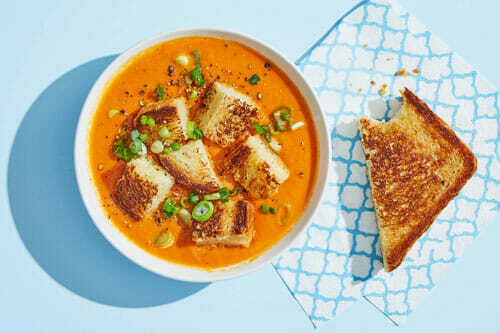 Dinnerly is an innovative meal kit delivery service launched by Marley Spoon in 2017. It was created with the desire to make meal kits easily affordable and available to virtually anyone in search of a more convenient alternative to meal planning and grocery shopping. While meal kits were designed to revolutionize home cooking, they are commonly considered to be a luxury, with the prices often too high for the average customer. In this Dinnerly review, we shall take a look at Dinnerly’s clever plan to bring about a real revolution in the industry with its low-priced, high-quality kits. Dinnerly is a boxed meal delivery service that boasts the lowest pricing on the US meal kit market. It offers quick recipes for couples and families and responsibly sourced ingredients, pre-measured and delivered to your doorstep on a weekly basis. The idea behind this service is as clever as it is simple. Many home cooks around the nation are interested in meal kits as an easy solution for effortless cooking. However, a large portion of them find meal kit subscriptions to be outside their budgets. Enter Dinnerly, which offers high-quality foods, chef-designed recipes, and handy home delivery, all wrapped in an attractive package that comes with a price tag that is twice lower than the average. As always, affordability comes with a set of trade-offs, but in the case of Dinnerly, these are rather acceptable. Menu variety is not immense, ingredient quality is high but ingredient selection is not vast, and the range of special diet options is limited. However, considering that these flaws can be observed in services that are much more expensive, we believe that Dinnerly offers great value for your money. 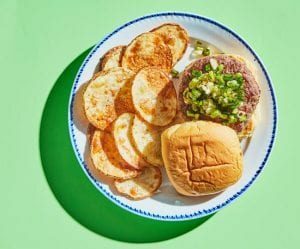 Being one of the cheapest meal kit services in America, Dinnerly has seen a constant rise in popularity. Consequently, its offer is improving as its customer base grows. Its patrons already get to choose from a larger number of recipes than before and further improvements are in the works. Based on what we could see so far, it seems that Dinnerly may soon become a worthy rival to some of the best meal kit services around. 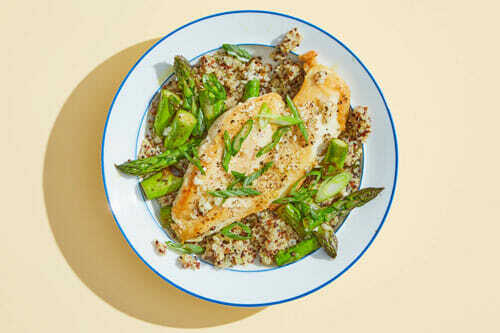 With Dinnerly, you can choose from 2 meal box types and 8 weekly recipes. The 2-Person box includes recipes and ingredients necessary to make 3 meals for 2 adults while the Family box contains recipes and ingredients for 3 meals for a family of 4. At the moment, Dinnerly only offers dinner recipes. The recipes are picky-eater approved and most of the time, they are classic, well-loved recipes that suit the tastes of the majority of potential customers. Most of them feature red meat and poultry, but there are always a couple of tasty options for veggie lovers as well. Although ordering from Dinnerly requires a subscription, it does not mean that you need to order even if the meals on the current menu do not suit your preferences or you simply have other plans. The subscription is extremely flexible and you get to skip as many deliveries as you please and easily cancel your subscription if you are not happy with the service. You can even switch between boxes whenever you feel the need to order more or less food. Dinnerly has truly done everything possible in order to prevent you from feeling stuck, providing you with full freedom to decide how often and for how long you wish to order. We have mentioned before in this Dinnerly review that this is the most affordable service on the market, which is its most prominent feature. 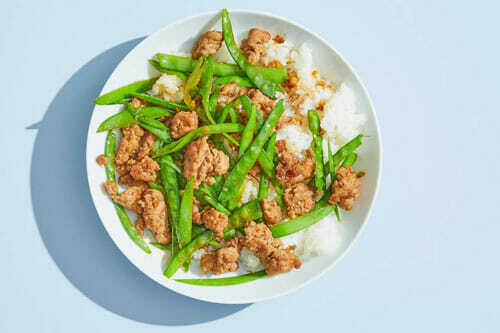 It offers fresh and healthy ingredients and great recipes for only half of the usual price of meal kits. The company hopes that the low prices will attract a large number of new customers who wanted to give this kind of service a try but simply found it to be too rich for their blood. Dinnerly recipes are unique in that they normally require only 6 ingredients, which makes cooking even easier and cuts down on the preparation time. Although the produce is fresh and natural and the meat is antibiotic-free and grass-fed, just as in the case of the pricier meal kits, there are no exotic, luxury items that would increase the price of the meals. 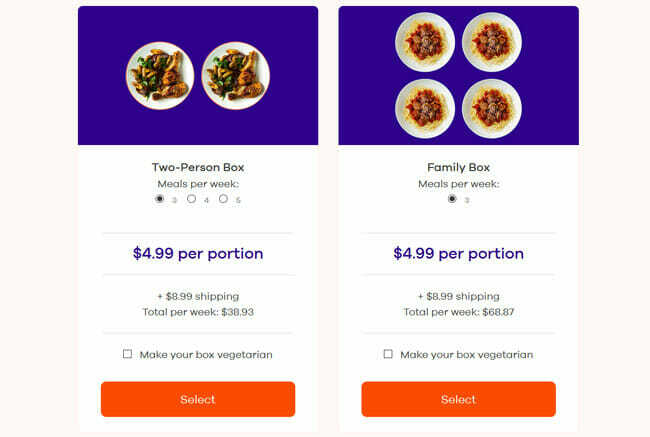 Another distinctive, money-saving feature of Dinnerly are digital recipes that are offered instead of the fancy recipe cards normally delivered within the meal kit boxes. This decision was made in order to avoid any unnecessary costs and in our opinion, it does not affect the overall quality of the service. The company is also eco-friendly, using sustainable packaging that helps you reduce your carbon footprint. The official Dinnerly website also offers recycling instructions for the packaging, making it easy for you to dispose of the bags, boxes, and liners the right way. The weekly menu is limited to only 8 options, but it still manages to satisfy a wide variety of preferences. Every week, there are kid-friendly meals available, so you do not have to worry about the little ones frowning at their plates in discontent. Most of the meals can be prepared in no more than 30 minutes, some of them require the use of only 1 pot, about 3 items per week are vegetarian-friend, and quite often, there are low-carb, low-calorie, gluten-free, and dairy-free meals on offer. The great news is that the digital recipes are detailed and easy to understand, with lovely photos available for each step of the preparation. You also get information on the preparation time, the difficulty level, and allergens, as well as the basic ingredients you should have in your pantry and the pots, pans, and other kitchen tools you need in order to prepare the meal. Dinnerly also offers nutrition information on its meals, including the number of calories and the amount of fat, proteins, and carbs present in every serving. What we especially like is the fact that Dinnerly lets you in on the little tricks that can help you make your meal even better. With the hacks attached to the recipes, you can upgrade your cooking skills and learn how to take the dish from fine to divine. Most of the meals can be prepared in no more than 30 minutes, some of them require the use of only 1 pot, about 3 items per week are vegetarian-friend, and quite often, there are low-carb, low-calorie, gluten-free, and dairy-free meals on offer. The price of Dinnerly meal kits is fixed and amounts to only $4.99 per serving. Your meals cost the same regardless of whether you opt for the 2-Person box or the Family box. Shipping does not come free of charge and it costs $8.99 per weekly delivery. The absence of a free shipping policy is to be expected, as the price of the meals is surprisingly low and thus not enough to cover the shipping costs as well. In total, the price of a weekly delivery with the 2-Person plan amounts to $38.93, with shipping included. The price of the Family box together with the shipping costs is $68.87. Even with the shipping fee, the price per meal remains low enough to be more than worth it, especially if you factor in the time and money you spend on your trips to the store and the market and the time it takes to think of new recipes every day. When it first entered the market, Dinnerly shipped its meal kits to only 6 West Coast states. Now, the service is available in most of the continental US, with a couple of exceptions, including Upstate New York and certain rural areas of the country. If you are not sure if Dinnerly delivers to your zip code, you can find out in minutes by contacting its support staff. Delivery days vary depending on location and you can choose the day that works best for you. The kits are delivered in insulated boxes with enough ice packs to keep the ingredients chilled during transit. To make sure Dinnerly meets all your standards and expectations, it is important to know its biggest advantages and disadvantages. With a short overview of its pros and cons, you can easily decide if Dinnerly is the right meal kit service for you. If you subscribe to Dinnerly, you can easily prepare culinary masterpieces using only the ingredients and recipes found in your meal kit box. You may not be a pro chef just yet, but with Dinnerly, you can easily make restaurant-grade meals. You don’t have to take our word for it – check out the images below to get a better idea of the types of dishes you can enjoy with Dinnerly. Dinnerly aims to make it possible for nearly anyone to enjoy the perks of simplified cooking by offering great ingredients and recipes at probably the lowest possible price. We had the pleasure of testing the service and have to say that we were pleasantly surprised to see that the quality of the service is not inferior to that provided by some of the best meal kit services out there. It is a perfect combination of convenience, deliciousness, and affordability and possibly the best option for home cooks who want to prepare their meals more easily without spending more cash than usual. Our ratings are the result of an objective and independent evaluation of Dinnerly, generating the final rating that reflects the overall quality of the company. Ratings may change as the service changes. Dinnerly customer rating based on 52 customer reviews. It clearly states that the recipe cards are digital, to save cost. 6 meal options? Am I missing something? I’ve been a Dinnerly member for nearly a year and I’ve NEVER had more than three dinner items offered. It’s those 3 or nothing. Where are you finding 6? My husband and I have used Dinnerly for a few months now, and we love it. They've greatly improved their packaging and they now have 8 meals to choose from each week (up from 6). There have been only two times when ingredients were missing, but an email to Dinnerly gave us a credit towards the next box. We noticed this happened more often when we first started using it - the last few weeks we've had every ingredient. We've enjoyed most of the recipes - just a couple we didn't care for. For the price it's amazing and if you've had a negative experience in the past, I would recommend trying it again. I just received my first box. It was opened late afternoon the day it was received. It was not well packed. Everything was thrown in the box with no packing so things were thrown all around. Buns do not travel well with a big potato, a big carrot, an onion, a big bag of frozen ice pack and meat and other hard veggies. The green beans were starting to go bad, with black spots on them. They will have to be tossed. Two of the little containers with contents were smashed but still usable. I did bring it to their attention and got a $5 credit. Considering shipping is $8.95, I won't be ordering again. I have been checking out all the top services, in the end Dinnerly is the one that surprises me most with top notch, home friendly tastes yet professional flavors. Their products, prep extras and quality are the same the other home meal companies use, top notch meats, fresh, beautiful produce and everything it takes to cook them with . No skimp there. Some of the companies were sorely lacking in flavor so you "made it your own", one of the most expensive even suggested you do so. Another popular home meal company had such little imagination the best they could do was to lemon everything to death then serve with tiresome vinegar and oil dressing for their salads. The reason I checked with so many was to find a company that was worth my grocery budget, taste, easiness to prepare, time spent prepping, then running from stove to oven to plate. Dinnerly has always had the easiest for me in every category. I love this company and plan on using it for my provider. They deserve a high rating. We found 1 verified Dinnerly discount for April, 2019. Free Shipping Get this amazing deal and enjoy Free shipping! Sign up and we’ll let you know about future Dinnerly promo codes. If you like Dinnerly but aren’t sure whether they are truly the ideal choice for you, you may want to take a look at our comparisons below to discover if one of their competitors is more suitable for you.